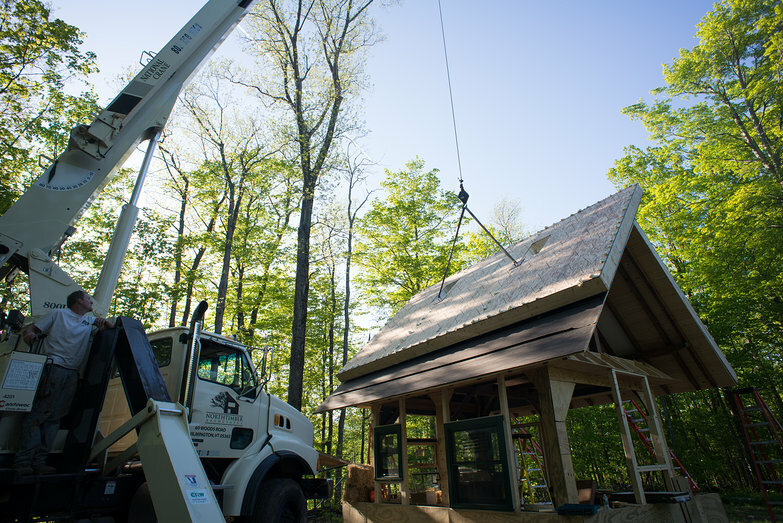 After months of planning our roof, today was the day we'd been waiting for—bright and early this morning, a crew showed up to deliver and install our SIPs! As with any big project, the challenges began immediately. 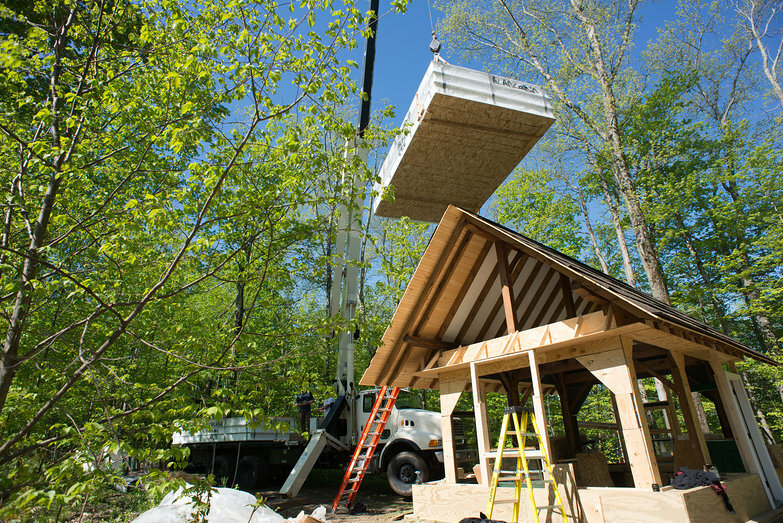 First off, their boom truck had to reach the house site, and getting there was no easy feat. It took the guys forty minutes of trying and failing to gun it up the rocky hill leading to our cottage. 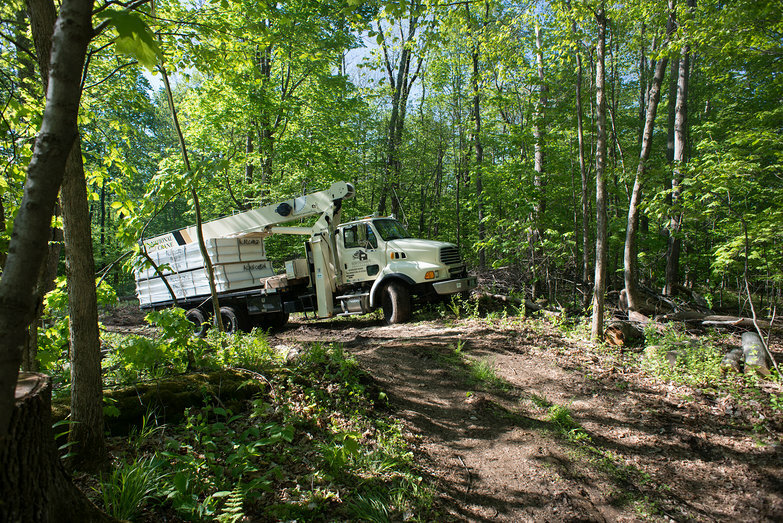 Eventually, we had to cut down a small tree so they could make the turn! As soon as the tree hit the ground, the installers—a motley crew of hilarious guys—piled on, limbing it and clearing the road. Make way for the Alan Cabin SIPs! 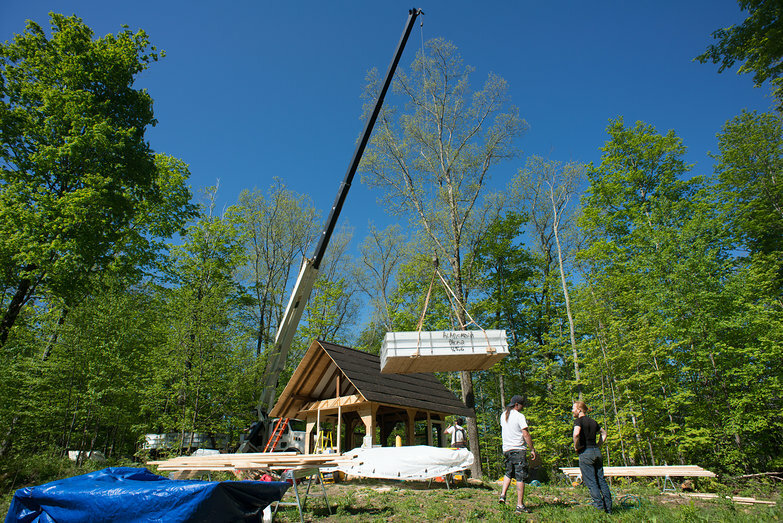 Once they reached the house site, the boom truck unleashed its crane. 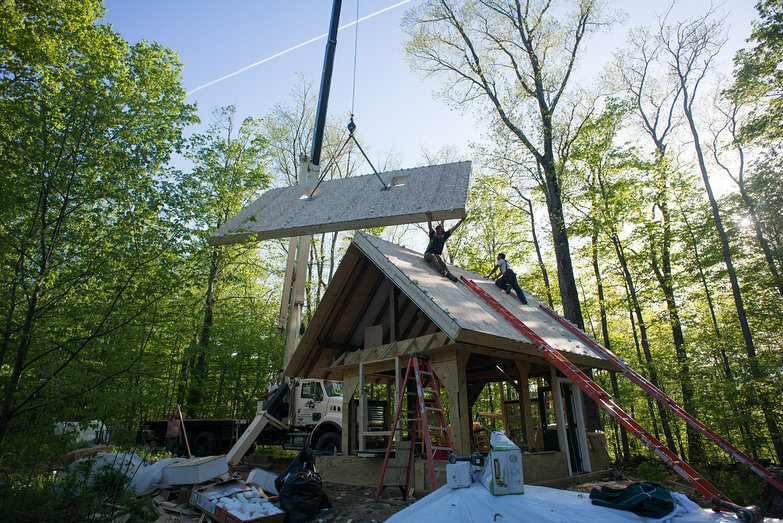 In order to prep the panels for installation, they had to hoist half of them over the house. Cue nail-biting. As one of the guys fiddled with arcade-like joysticks on the truck, guiding the panels to their destination, we stood gaping, murmuring "oh my god..."
Thankfully, none of the nightmares we imagined came to pass. All twelve hundred pounds of OSB and EPS foam made it safely to the ground on the other side of our house. After that, they spent the next several hours measuring the roof over and over, calculating the correct spacing for the four skylight openings in our plan. 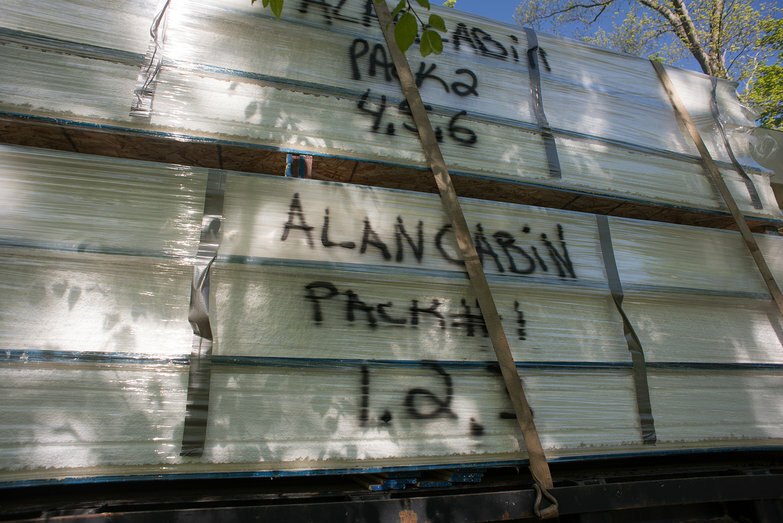 Our rafters are approximately two foot on center, and the skylights have a rough opening of 21 inches. This doesn't leave much room for error! 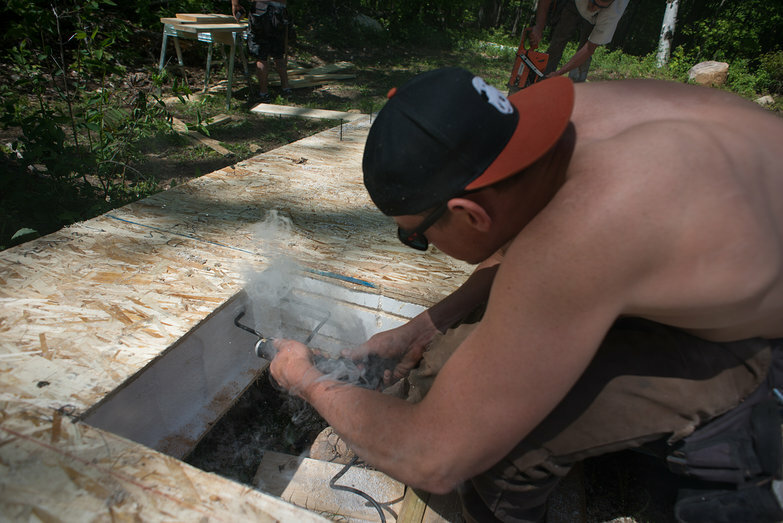 The whole process took much longer than we thought it would, mainly because the roof wasn't perfectly square, and because our rafter spacings weren't perfect (we're new at this building thing). By the end of the day they managed to get the SIPs mounted, though. Hooray! One more layer in the seemingly endless roofing sandwich is complete! 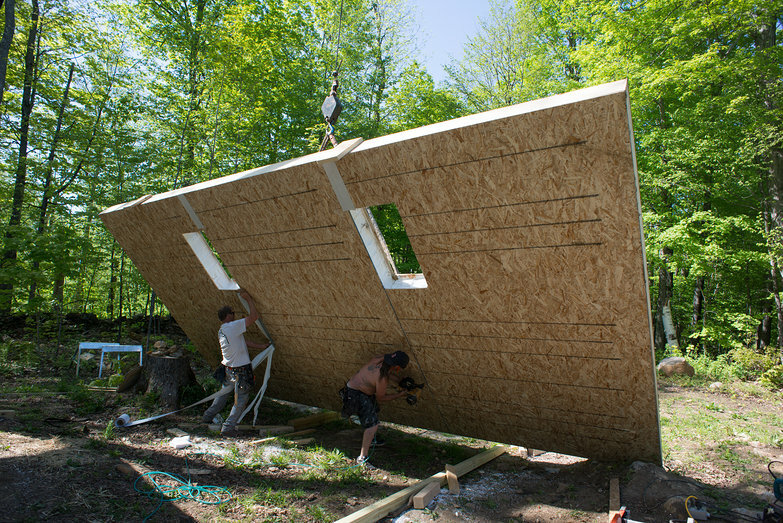 Wow, no wonder some people use SIPs for timber frame buildings..if those were walls, they'd go up fast! Wow, exactly five years ago you reached the 1,000th mile (just the beginning) of an epic bicycle trip. 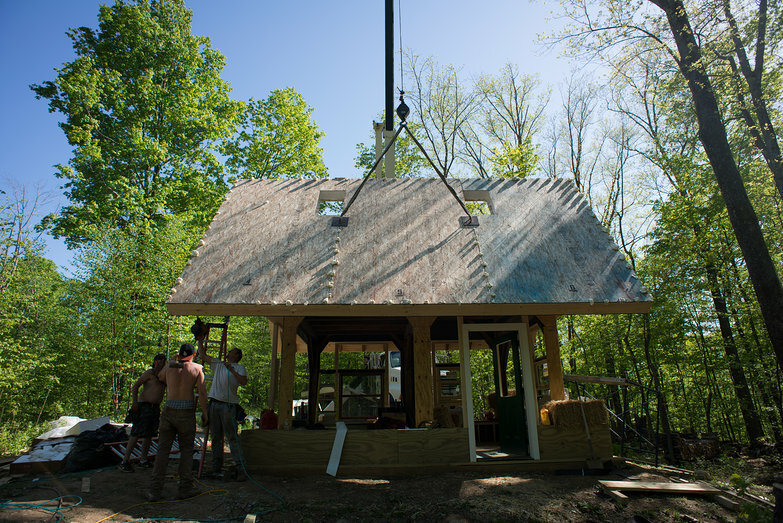 Now you're putting a roof on your very own house and the rest of your homestead is taking shape as well. Did you ever think...? Thanks again for sharing this amazing journey with us all. I see windows and a door and a strawbale or two positioned! I do have a question: why did they put triple expanding foam in the SIP's, and why did they do it like they did? 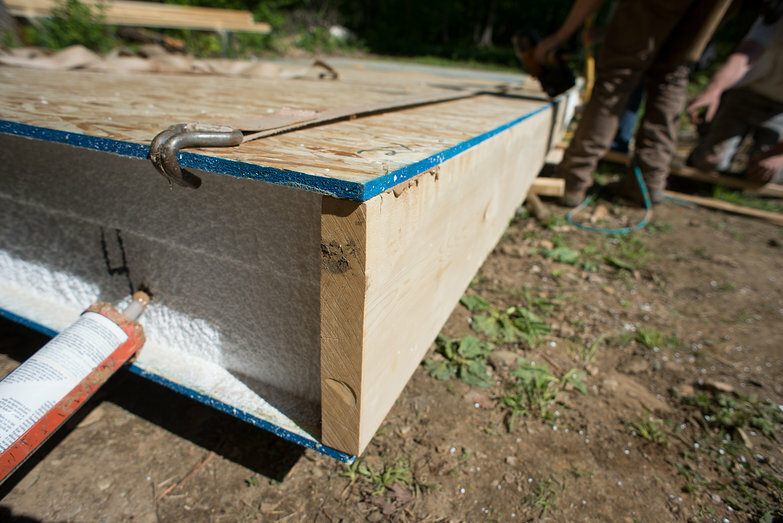 The triple expanding foam fills a groove that runs alongside the edge of each panel. 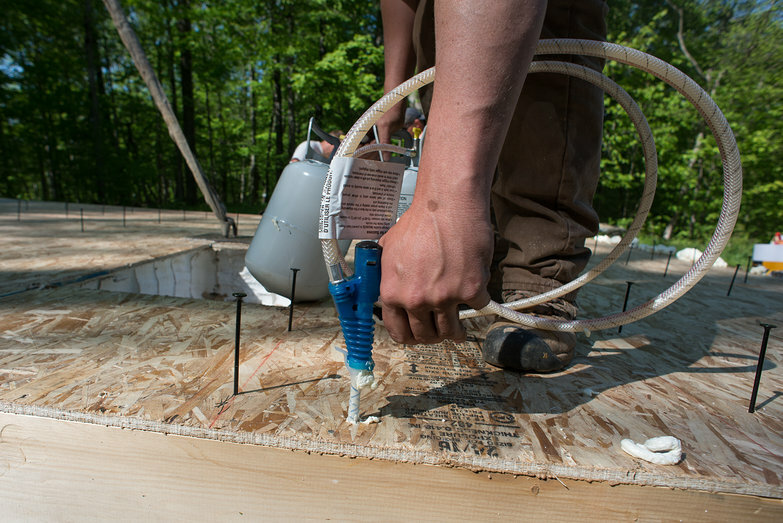 This makes an airtight seal where the panels are joined together. I have visions of loveliness when it's all complete! This is so interesting to watch! Thank you for taking the time to share these posts and information. I'm fascinated by the different materials and processes, and all that you are learning.